The Green Elephant Ear Mushroom Coral, Rhodactis sp., features a large wavy surface, with a leathery texture and multiple mouths that makes a beautiful and unique addition to any reef tank. It is easy to maintain even in low to medium light level and is hardy. It makes a very good choice for a novice aquarist. 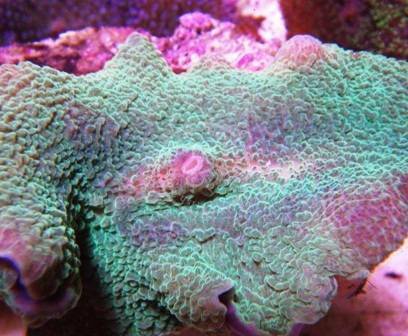 The Green Elephant Ear Mushroom Coral is semi-aggressive and requires adequate space between itself and other corals. If given proper space between other corals, it will thrive. 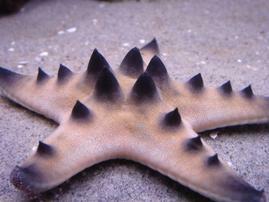 It undergoes photosynthesis and manufactures food and energy using zooxanthellae that dwells inside its tissue. The Green Elephant Ear Mushroom Coral is very easy to grow and propagate in the tank, and makes a valuable addition to any tank. 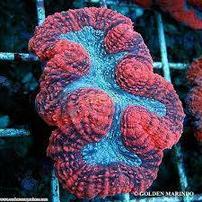 It is also known as Corallimorphs that comes in many forms and colors. While mushroom corals tolerate a wider range of water parameters, they usually thrive in stable water conditions with 1.020-1.025 salinity, 74-79 degrees F, and nitrates less than 5 ppm. The Mushroom Coral do not have a calcified skeleton structure that is why they can be more tolerant of swings in alkalinity, calcium and magnesium.